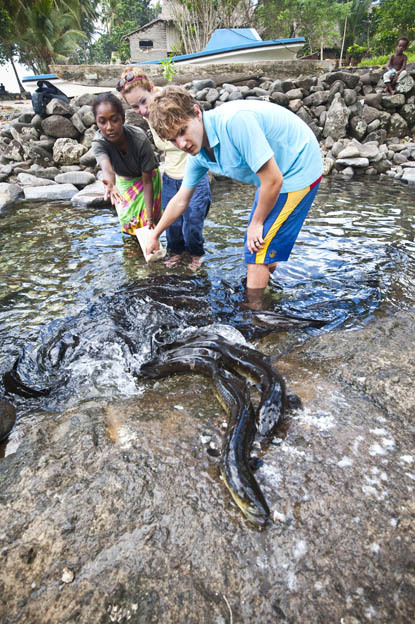 The level of biodiversity and endemicity in the Solomon Islands is recognised as globally outstanding. The archipelago forms part of a region considered to be one of the most geographically complex in the world and are in a very active tectonic area. Mangroves and coconut groves occupy the coastal strips while the interior of the high islands are cloaked in jungle from lowland hardwood forest to mosses living on the higher peaks. Take a few steps from the beach and you’ll be immersed in tropical vegetation. Humming, rustling, buzzing, hot and humid and filled with the noise of birds and insects. The rich volcanic soils that have built up on the larger islands support a magnificent, dense tropical forest. 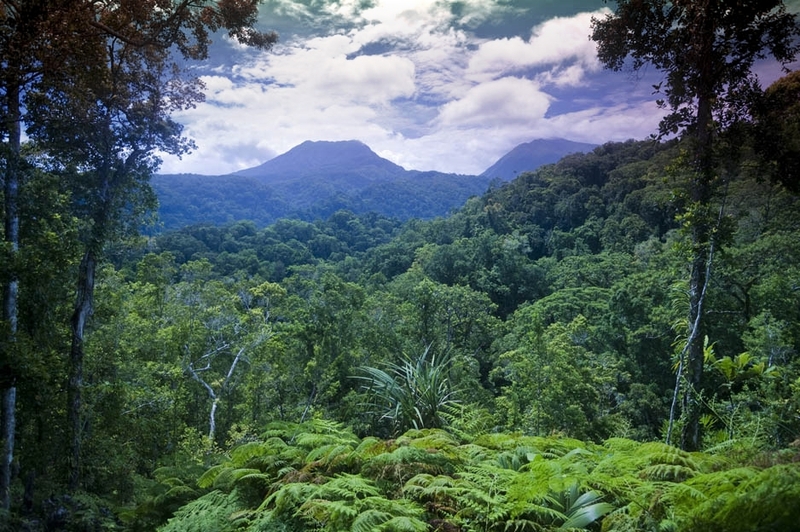 Of the 4,500 plant species, it is estimated that 3,200 are native to the Solomon Islands. New plants are being found all the time. A rare orchid was discovered in 2013 and appears related to a plant found in China. Among those plants found solely in the Solomons are several species of palms, orchids, begonia and ginger plants. 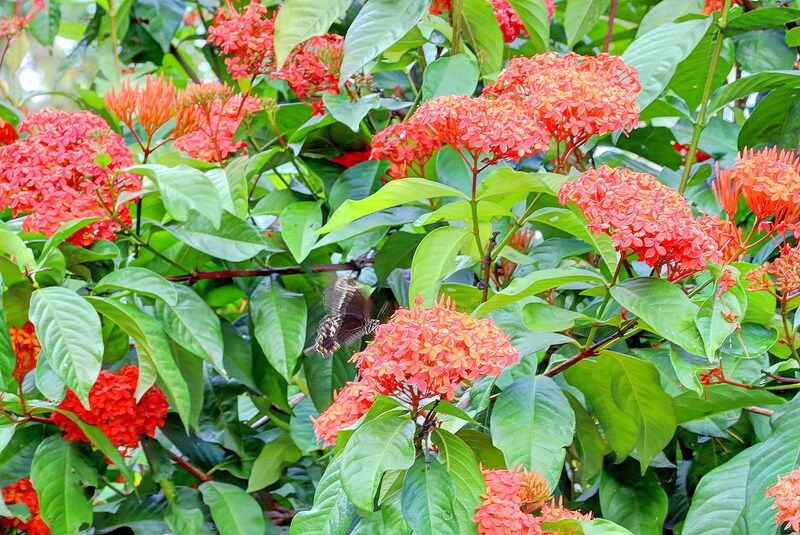 More than 230 varieties of flowering plants brighten the forest environment. The inland forests are divided into lowland, foothill and mountain forests as well as freshwater swamps. The farther inland, the denser the forest typically gets and the more diverse the plant life. Agriculture and logging has had an impact on the forests. Plants such as rattan, rosewood and ebony trees and some palm varieties are considered threatened. Solomon Islanders depend heavily on natural resources for food and income. The Nature Conservancy is one organisation that works with islanders to help facilitate community based-conservation that will help sustain Islanders and their environment. The community managed Marine Protected Area in the Arnavon Islands is one project that has become a very successful model of eco-tourism focused on protecting the critically endangered Hawksbill. The unpopulated island of Tetepare in the Western Province is another successful community based conservation effort. The island was once threatened by logging but is now a conservation jewel and one of the places you can see pristine, virgin Solomon Islands rainforest. The island is open to eco-tourism with just 13 visitors allowed at a time in a locally owned and managed ecolodge on the lagoon. The unique island of Rennell in the Rennell and Bellona Province is listed as a World Heritage site, considered globally outstanding for its great biodiversity, containing the largest lake in the Insular Pacific region and as the largest raised coral atoll in the world. On land, the forests and rivers are home to some species of birds and frogs unique to the Solomons. Under the water, the islands have one of the highest diversities of coral and fish species anywhere in the world including several that are new to science. There are at least 173 different species of birds. You may see flashes of brilliant colour from the many parrot species, perhaps you’ll catch a glimpse of the beautifully named Red Knobbed Imperial Pigeon or a Solomon Eagle soaring high overhead or feel the lightest brush of wind as one of the 130 species of butterflies flutters past. The most famous of the birds is probably the megapode or incubator bird. The bird nests in thermal sand on islands in the Central and Western Provinces. 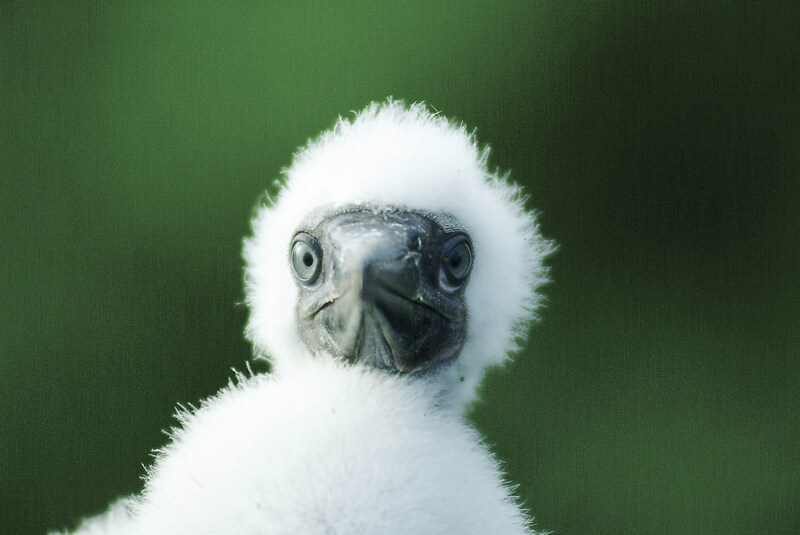 When the eggs hatch the babies are able to fly as soon as their wings dry.